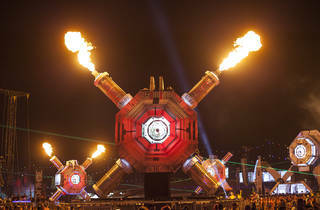 On the outskirts of town at the Motor Speedway, Electric Daisy Carnival is pure, condensed Vegas. There is a VIP Ferris wheel. Helicopters shuttle in high rollers. The 135,000-strong crowd is soaked in ecstasy and spray tan. Every millionaire DJ that plays the laser-riddled nightclubs on the Strip is here. 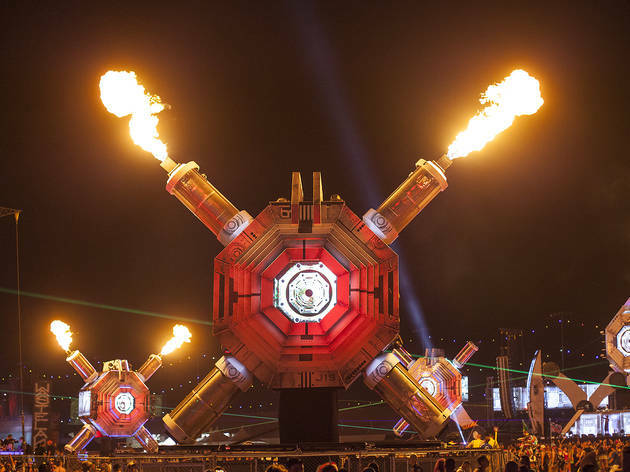 EDC introduced EDM as a Day-Glo spectacle for the masses in America, and its lineups in recent years have certainly lived up to the hype: Diplo, Martin Garrix, Alison Wonderland, Deadmau5 and more are all set to perform this year. Once you let the neon and bass wash over you, it is the time of your life.